If you’re looking for a way to save on your next visit to the famous Silver Dollar City theme park, then you might want to know about some of the specials, discounts, coupons, and ticket promotions running this year. 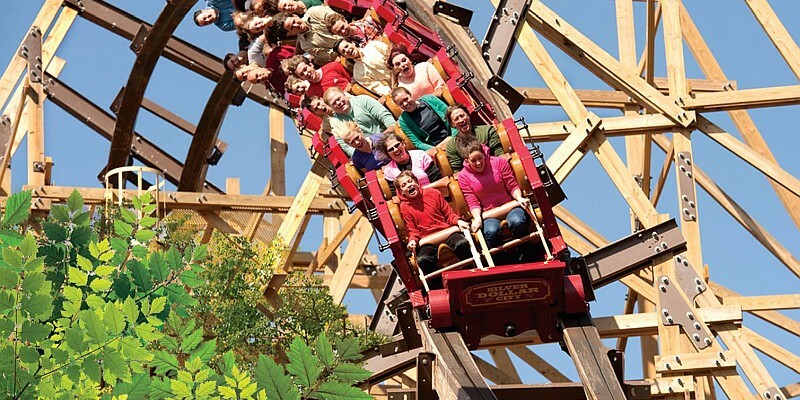 Those visiting Branson and its most popular theme park will find that there are several great, money-saving Silver Dollar City ticket deals that are offered throughout the year – including special 2-day passes. Special 2-day passes are almost like a 2 for 1 deal – as they offer 2 full days at the park (with a day in between if you’d like) for just a few dollars more than a one-day pass. These tickets are also unavailable at the theme park gate/box office and must be ordered ahead of time via phone by calling: 1 (800) 504-0115 or may be purchased online. 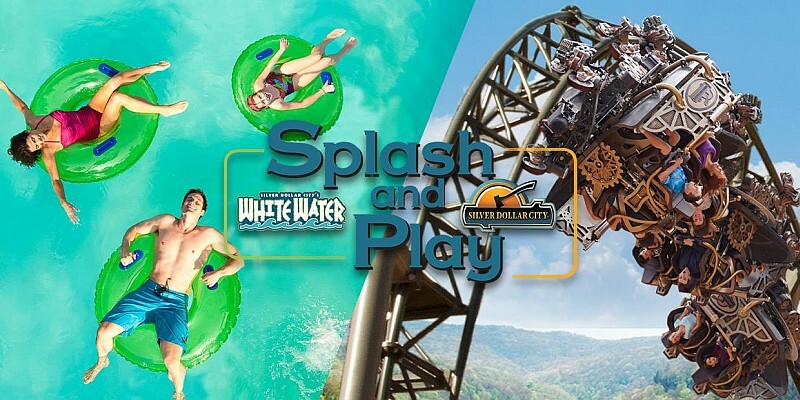 Combining Branson’s most popular theme park with the White Water water park, Splash & Play Passes give you two of Branson’s most popular summertime attractions in one discounted ticket! With a Splash & Play pass, guests can visit either of the parks as much as they’d like within a 3-day window. These tickets are available May 19 – September 3, 2018 and may be purchased by calling: 1 (800) 504-0115 or purchased online. Valid March 14 – October 27, 2018 (excluding Moonlight Madness dates and other certain conditions), guests can receive admission into the amusement park the next day free (with the purchase of a one or 2-day pass) if vistiing after 3:00 pm. No special tickets are required for this special promotion, and is a great way to experience even more of Silver Dollar City if you’re arriving later in the day or have other travel plans or things to do on your itinerary. To get one or two-day tickets, call: 1 (800) 504-0115 or you can also buy passes online. Running May 31 – August 9, 2018 – Silver Dollar City is offering $45 one-day tickets through several grocery stores in the surrounding area. Price Cutter & several other area grocery stores are offering a special $45 one-day ticket to Silver Dollar City through August 9, 2018. This is a very popular promotion that they’ve run over the past several years (and have even offered $30 tickets before) – but comes with a few terms and stipulations. While you can purchase the tickets anytime – in order to take advantage of these special discounted ticket prices, you can only visit the theme park on Thursdays. These tickets are unavailable for purchase at Silver Dollar City, you must purchase them at one of the several grocery stores that are participating in the special promotion. 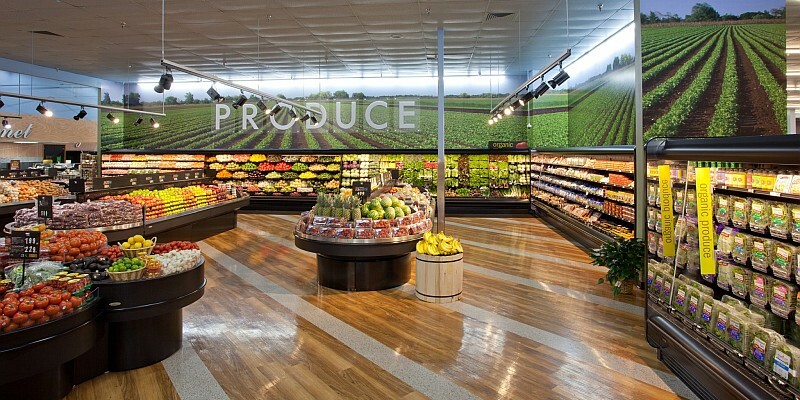 Participating Price Cutter, Country Mart, Bistro Market, Food Pyramid, Ramey, Summer Fresh, and King Cash Saver stores in Missouri, Arkansas, Oklahoma, and Kansas are offering these promotional passes for a limited time this summer. The special Thursday discount tickets will only be available for a short time during the summer between May 31 – August 9, 2018. So, if you purchase tickets then they must be used on a Thursday during these dates.